Out of all of the chants that rang through the National Mall in Washington DC at the beginning of the March for Life, this one was my favourite. The crowd, hundreds of thousands strong chanted it at the top of their voices. One of the speakers at the rally, I forget who it was, said that they hoped that soon, the March for Life would not be asking for an end to abortion, but a victory parade through the streets to celebrate the end of this dark period in American history. High ideals, to be sure. But why not? As I marched from the National Mall to the Supreme Court with hundreds of thousands of others of people who were willing to show their support for unborn children and their mothers, to call not only for a change in law but also for a change in the culture that lies to women by telling them that abortion makes them free, it occurred to me that they have never had a better chance to achieve their goal. Saturday’s march was the 46th annual March for Life, the inaugural one occurring in January 1974, on the first anniversary of the Supreme Court case that made abortion legal nationwide. It has been reported that 20,000 attended that first year. In 1994, some 20 years later, the numbers were at 35,000. 20 years after that, the average crowds jumped to the hundreds of thousands, with no sign of retreating. Indeed, the numbers have nowhere to go but up. The Washington Post estimates that the majority of those at the March for Life were under the age of 30. This is the pro-life generation. And it is made up of joyful and warm young people of child-bearing age and of child-welcoming disposition, who will be part of the much-needed cultural change. Not only will they give birth to and raise another pro-life generation, they will – importantly – be the support networks for many pregnant women who believe they have no other choice than abortion. Before long, there will be millions marching. That’s why for the last two years, the President of the United States, Donald Trump, has recorded a video message to be played at the event, and the Vice President of the United States, Mike Pence, has appeared in person. Being pro-life is not only good social policy, it’s also good politics. Because everyone there knew that the momentum is going the way of the pro-life generation. The excitement was palpable. And it was contagious. 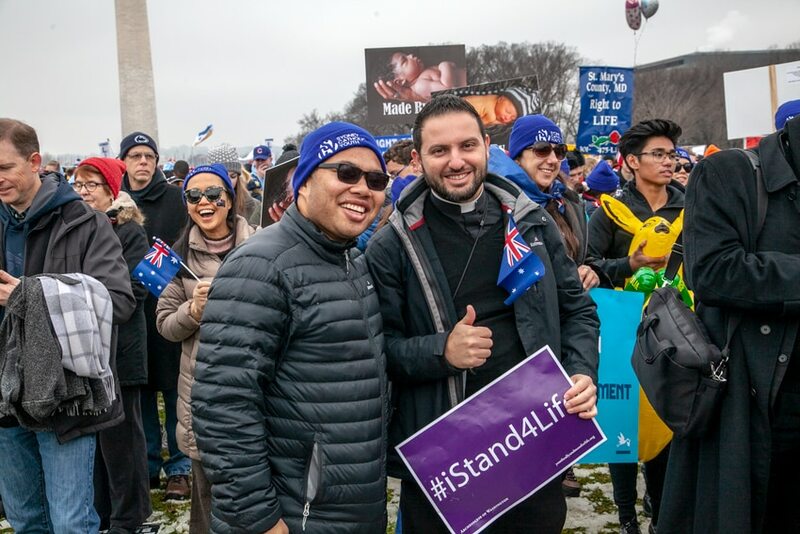 After all, I wasn’t the only Australian on the March for Life. There were about 120 of us all up; those from the Sydney Catholic Youth pilgrimage and the Sydney Catholic Schools pilgrimages. And they were pretty much all younger than me. Like the average age of others on the march, the vast majority of them were under the age of 30. They too are the pro-life generation. 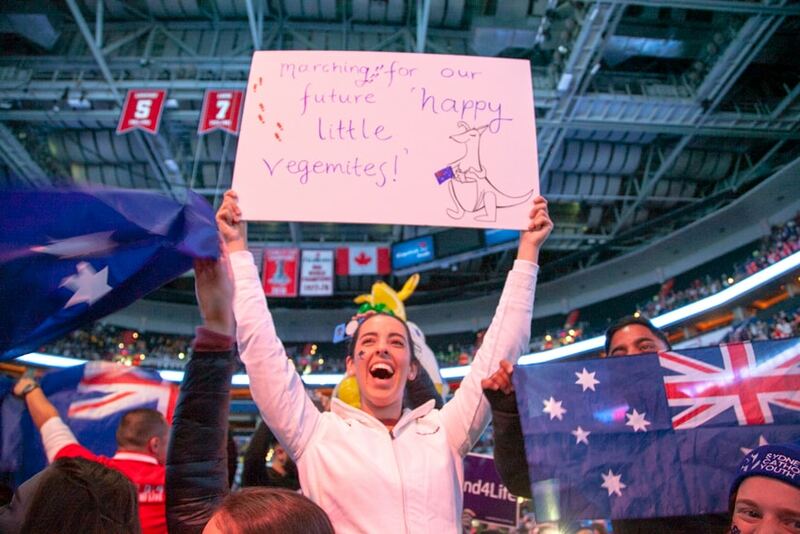 Carrying signs featuring mother and child, and reading “Love them both,” they are already talking about bringing others to the March for Life next year, and ramping up their pro-life activity in Australia. Their joy and goodness will inevitably attract their friends and family to be part of the pro-life cause. And they too will raise up another pro-life generation. Just as this could be the turning point in America, so too could it be the turning point in Australia. We are also in a very good position. 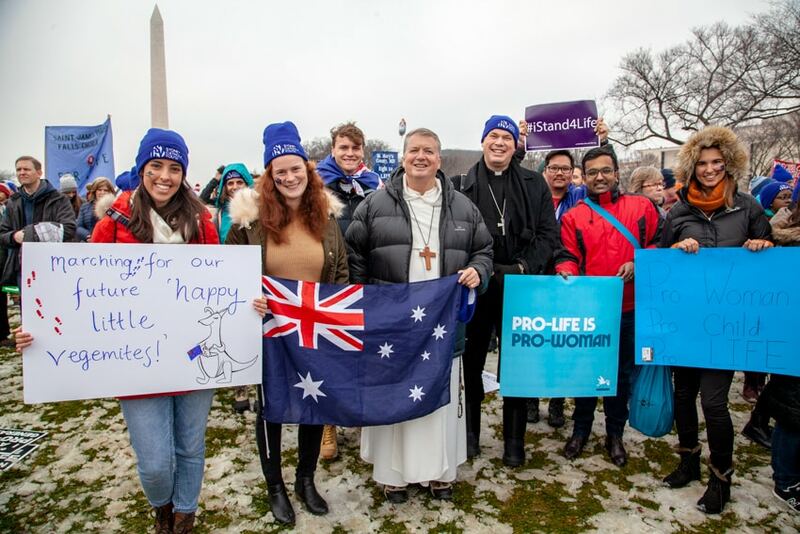 Because marching with them were Archbishop Anthony Fisher OP, Bishop Richard Umbers, and priests and seminarians from the Archdiocese of Sydney: the current pro-life generation of Church leadership, and the next generation of pro-life Church leadership, side-by-side with their young people. So many times, too many in fact, I use this weekly column to write about areas of concern for us as Catholics in Australia. 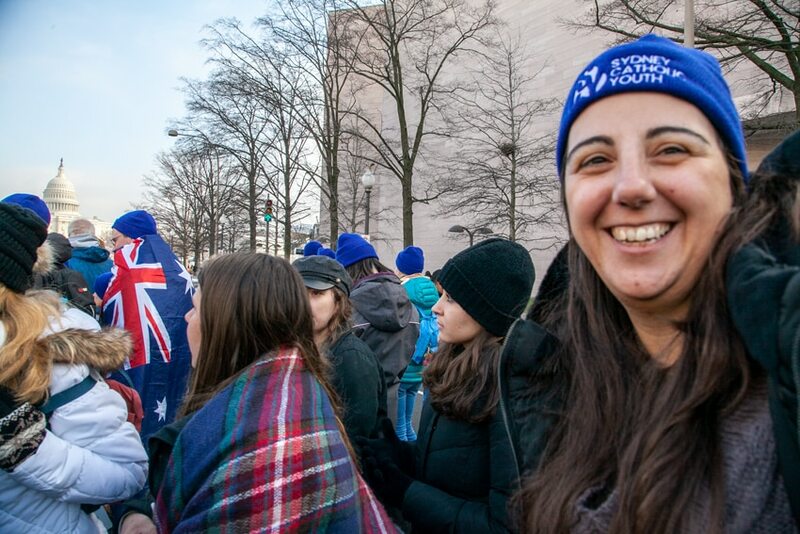 While that’s important, it is a real joy to share with you the great cause for hope that I have witnessed in the young people in Washington DC, en route to World Youth Day in Panama. They have good and generous hearts, warm and joyful personalities, and a clear desire to accept St John Paul II’s challenge to “not be afraid to be the saints of the new millennium.” You should be very proud of them!